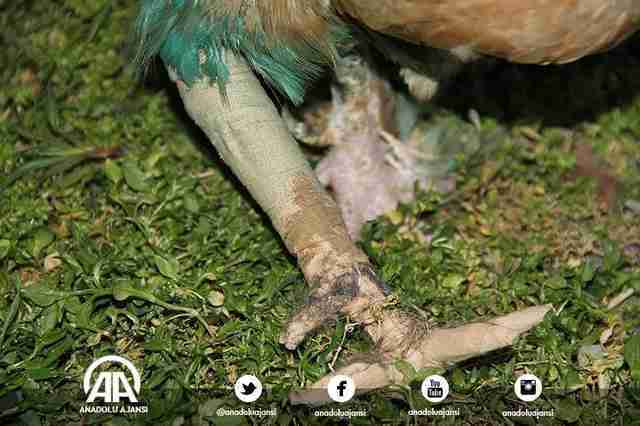 The life of a single chicken might not seem so important to some folks, but it means the world to Turkish farmer Aydemir Gürsoy. 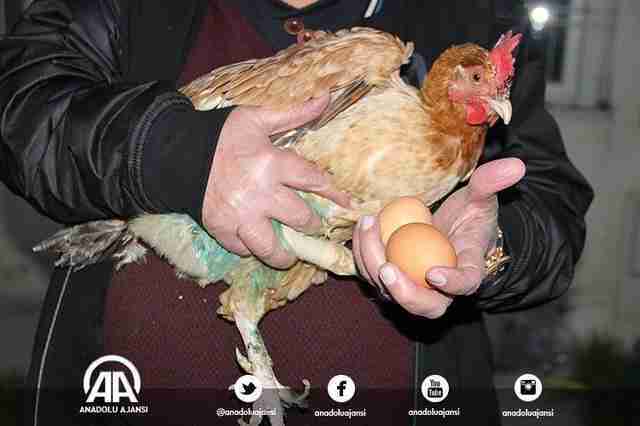 Gürsoy raises 30 hens in his backyard, and when one recently suffered a serious leg injury, he sought treatment for the bird at several veterinary clinics around town. However, the farmer was surprised to learn how insignificant she seemed to most everyone else. "Many people told me: 'It's just a chicken, what are you going to do with it? It's only worth 20 Turkish Liras; why don't you eat it?'" Gürsoy told the Hurriyet Daily News. "But what is the point of being a veterinarian if you abandon each sick chicken or lamb to death?" Fortunately, not everyone was so unmoved by the chicken's case. At the advice of a friend, Gürsoy took her to Yeşilyurt Municipality Veterinarian Directorate where vets agreed that she was very much worth saving. After several unsuccessful surgeries to repair the damaged leg, the doctors concluded that it would have to be amputated. They were determined to do what they could to give her a full life regardless - so they made a little custom prosthetic leg just for her. 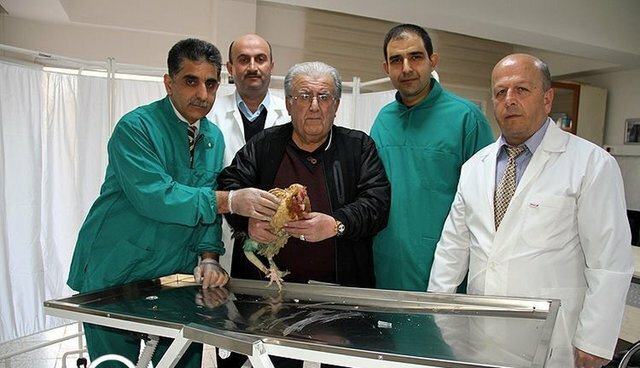 "The result is quite satisfactory; the chicken walks perfectly," head veterinarian Abuzer Karataş told Turkish news media. "[Her] owner is very pleased with the treatment." 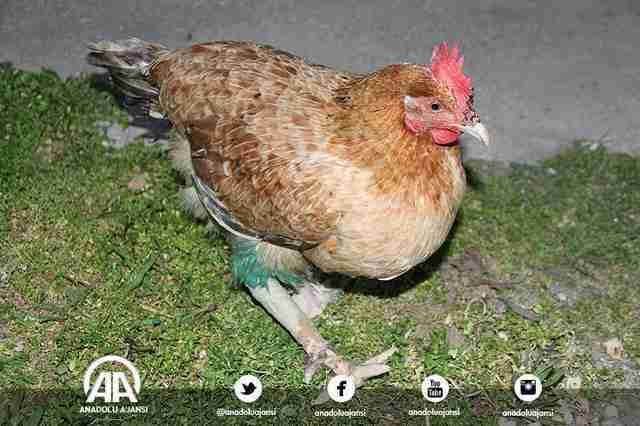 Now back on her feet at home on Gürsoy's farm, the chicken is already repaying him for his efforts in saving her life - with eggs.